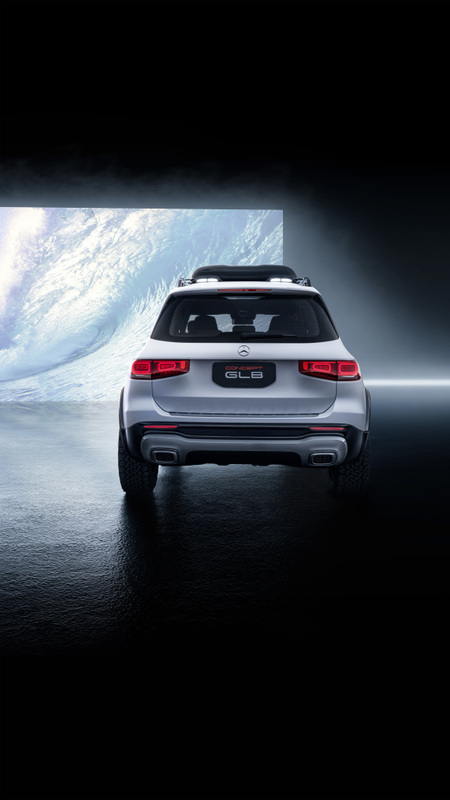 With the Concept GLB at Auto Shanghai (April 18 to 25, 2019), Mercedes-Benz shows what SUV ideas on the company’s compact car platform might also be realized alongside the GLA as a sporty all-rounder. 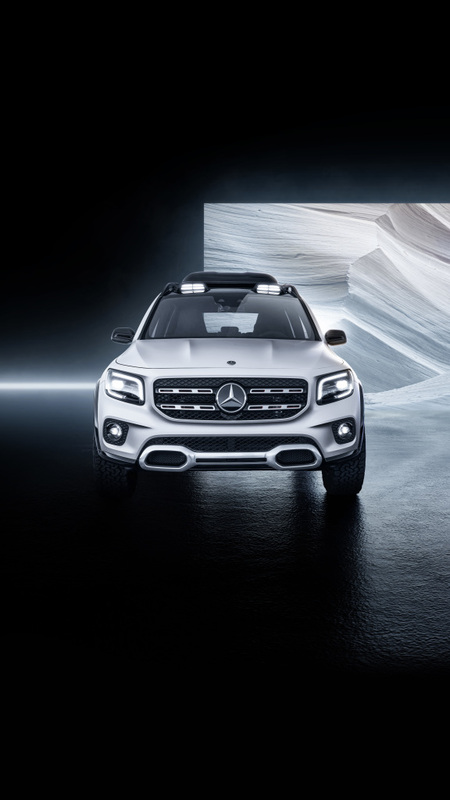 While the latter promises progressive driving enjoyment with its coupé-like lines, the Concept GLB places the emphasis on spaciousness and robustness. 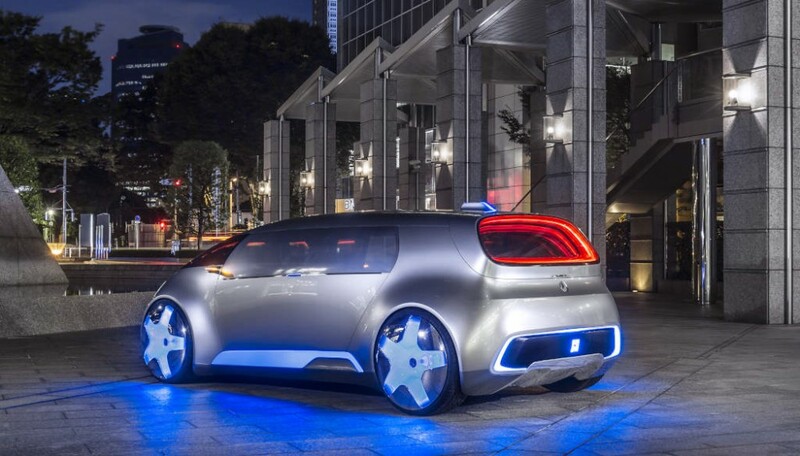 The concept car has space for up to seven occupants thanks to its long wheelbase. A number of sturdy features signal that the Concept GLB feels right at home on rough farm tracks. 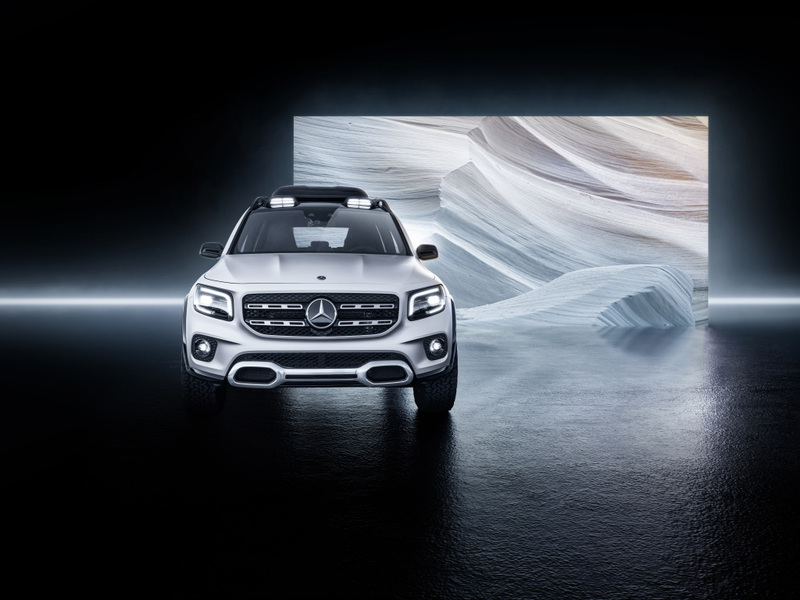 “We asked ourselves whether there is still space between the GLA and GLC in our successful SUV range. 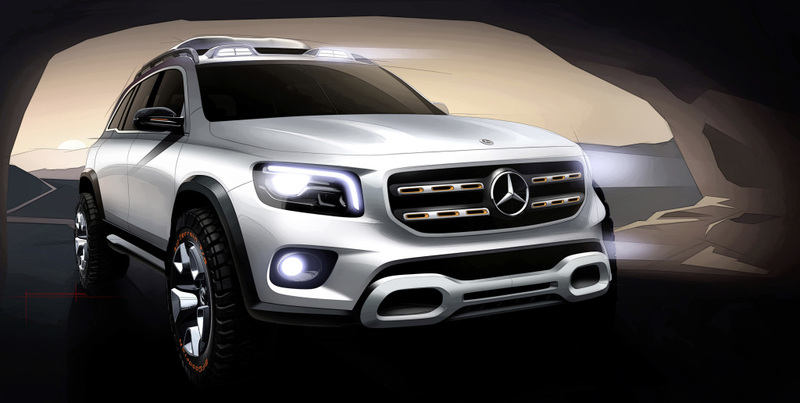 The Concept GLB is the answer to this question. 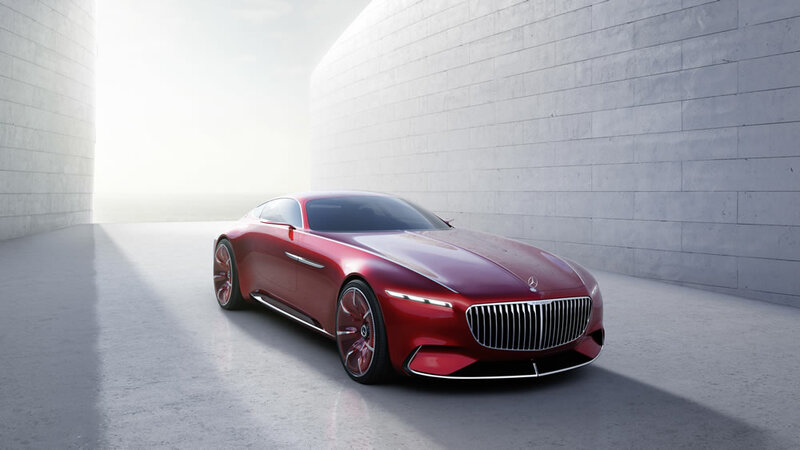 With it we are demonstrating the creative ideas we have for this segment, too”, says Britta Seeger, Member of the Board of Management of Daimler AG, responsible for Mercedes-Benz Cars Sales. 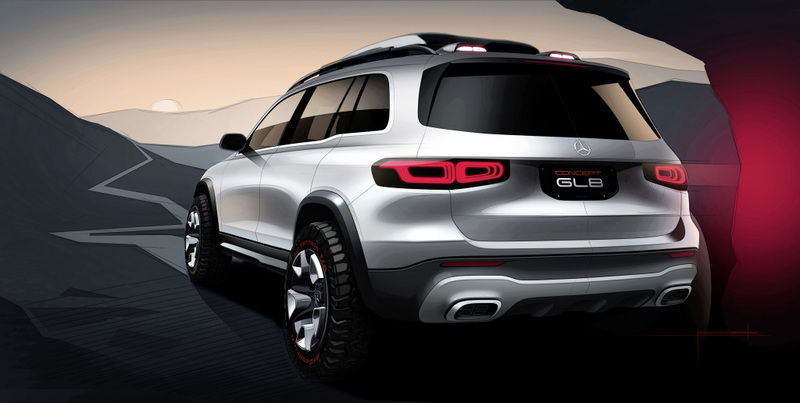 “The Concept GLB is a durable and practical SUV with nonetheless compact dimensions. 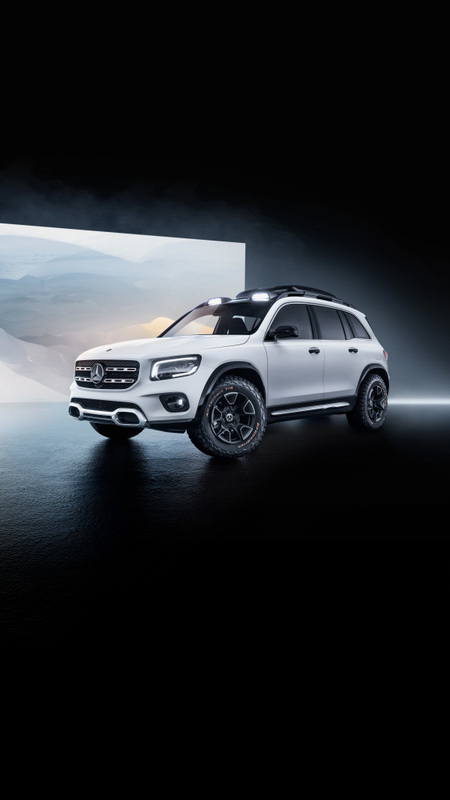 Whether it is a generous, seven-seater family vehicle or a versatile leisure time companion: we are certain that this concept will be of great interest to our customers.” Customers highly appreciate the varied SUV portfolio of Mercedes-Benz. 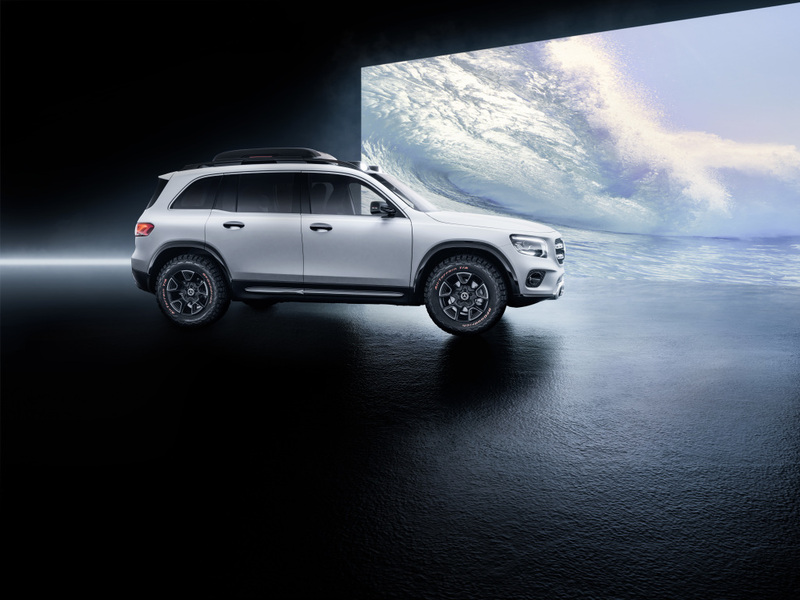 To date, more than six million customers worldwide have purchased a Mercedes-Benz SUV. 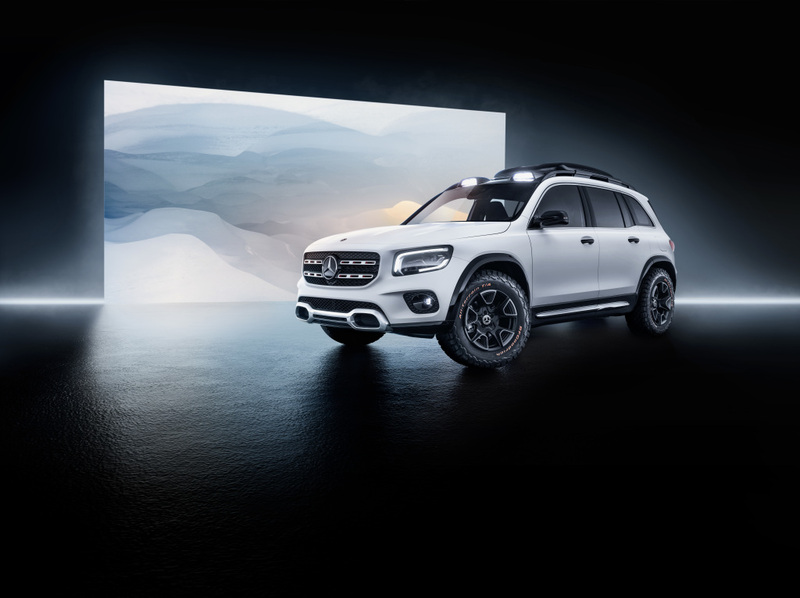 In 2018, with more than 820,000 units sold, the SUVs were the strongest segment for Mercedes-Benz. 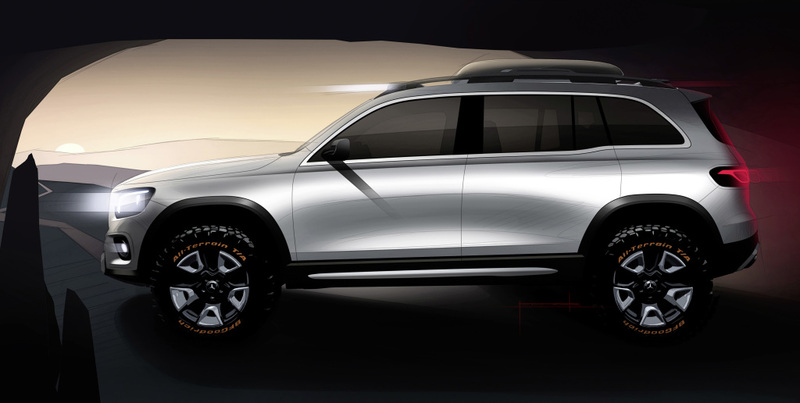 The muscular and sensuously contoured vehicle shoulder dominates the side view, an effect reinforced by the rising waistline. The contiguous doors improve ease of access and keep the door apertures free of soiling. 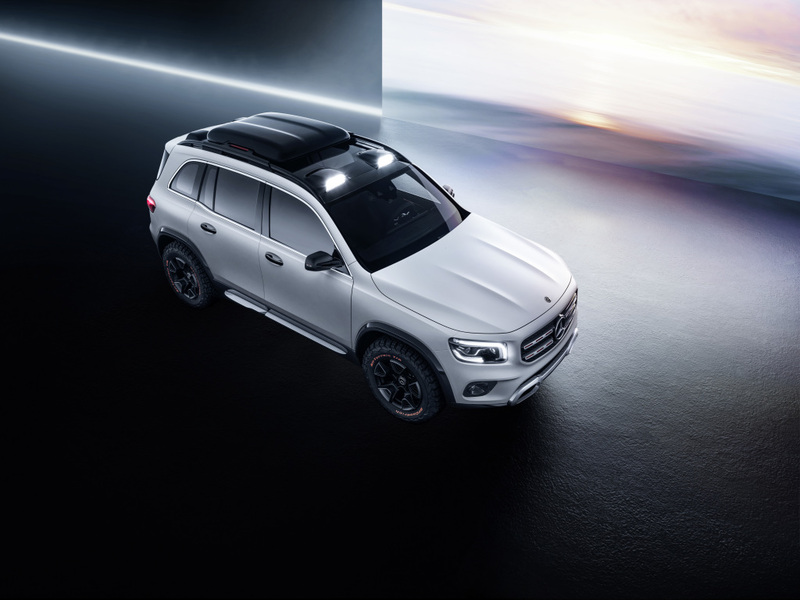 All-round protective claddings divide the overall proportions and emphasise the vehicle’s off-road character. 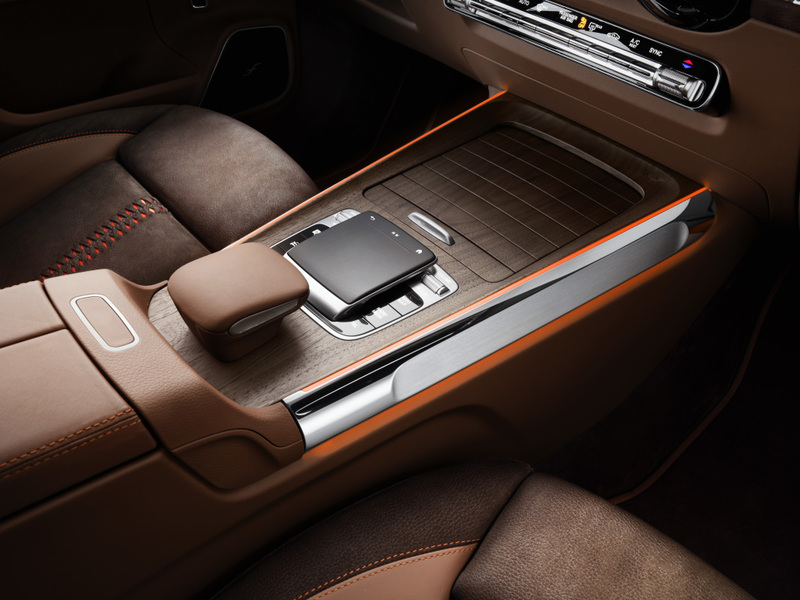 The seats, fittings and door panels are partially lined in nappa and nubuk leather, the predominant colour tone being “chestnut brown”. 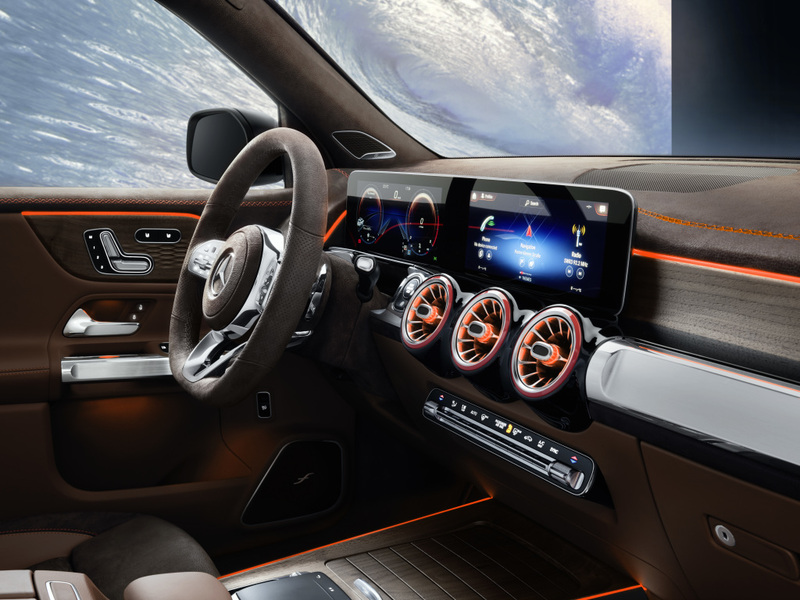 Echoing the exterior highlights, there are orange trim strips and seams in just a few places. 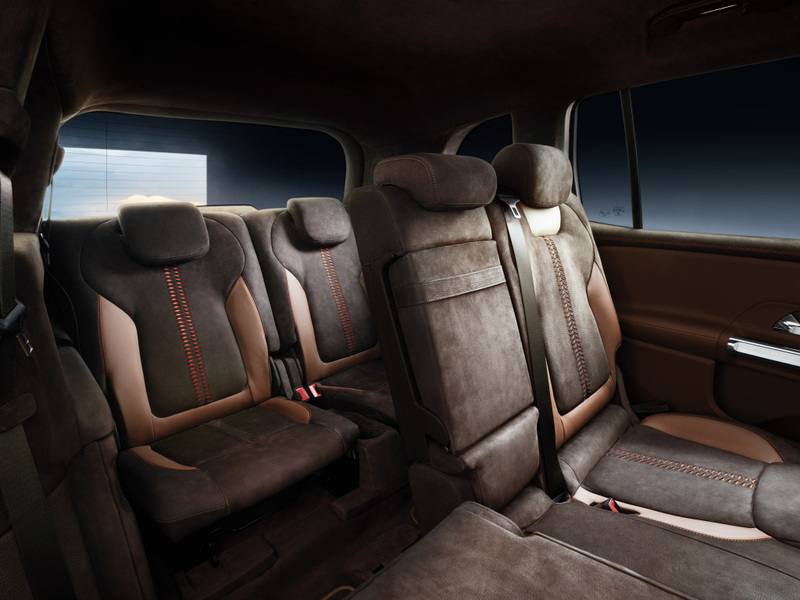 The centre sections of the front seats have two parallel rows of perforations in their woven nubuk leather covers, revealing the orange-coloured fabric sub-layer. These extend from the front edge of the seat cushion to the upper edge of the integrated head restraint. 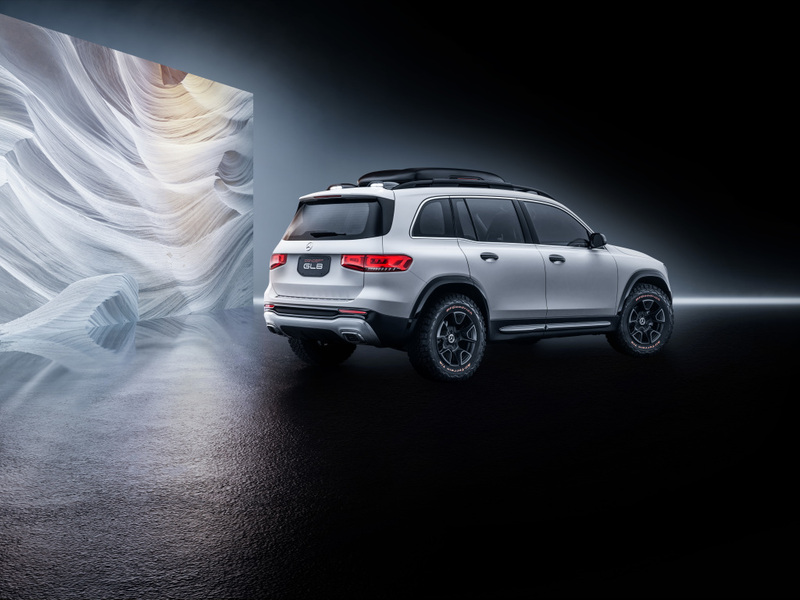 The Concept GLB is powered by the M 260 four-cylinder petrol engine combined with an 8G-DCT dual clutch transmission, with a maximum output of 165 kW/224 hp and peak torque of 350 Nm. The engine block of diecast aluminium with cast iron cylinder liners has CONICSHAPE® technology, which is also known in-house as “trumpet-honing”. To further minimise piston friction and lower fuel consumption, the cylinder bore is widened at the lower end of the cylinder liners. The resulting, conical shape resembles the mouth of a trumpet. Also in the aluminium four-valve cylinder head is CAMTRONIC, a variable valve timing system that allows two-stage adjustment of the valve lift on the intake side of the valve assembly. In the partial-load range, this variable valve lift adjustment allows less air to be fed to the combustion chamber with a smaller valve lift, which leads to lower gas cycle losses. In higher load ranges the system switches to the higher valve lift to achieve the engine’s full power delivery. 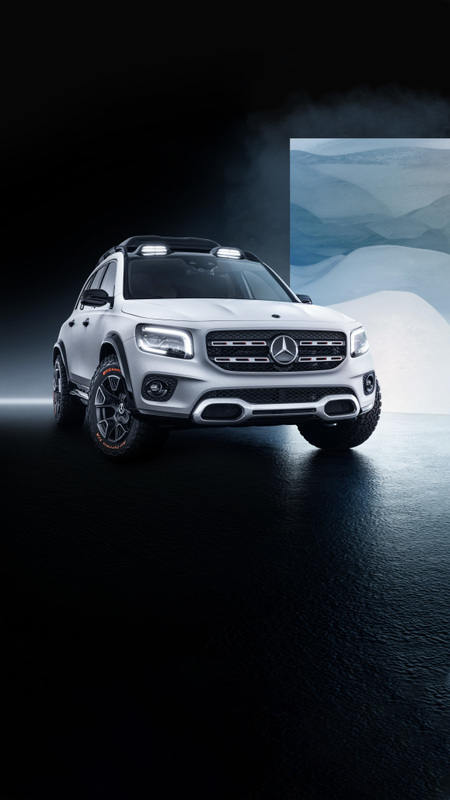 The Concept GLB is equipped with the permanent all-wheel system 4MATIC, with fully-variable torque distribution. 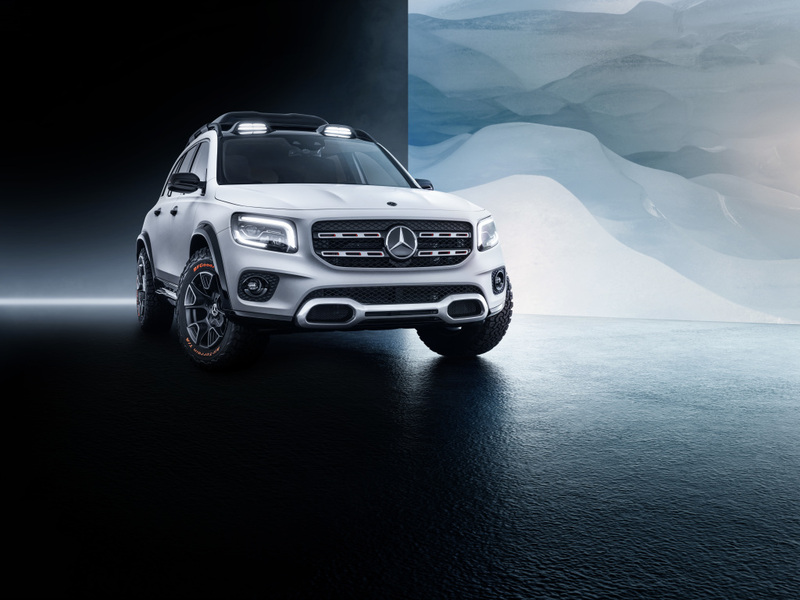 This sporty all-wheel drive configuration allows the driver to use the DYNAMIC SELECT switch to influence the characteristics of 4MATIC. 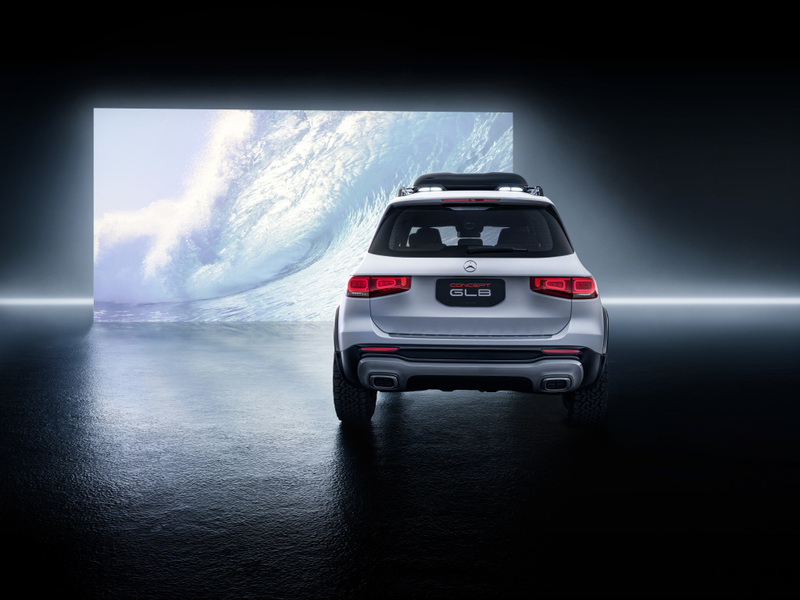 Three characteristic maps are available to control the all-wheel drive clutch, though the system responds flexibly to the current driving situation in any mode. 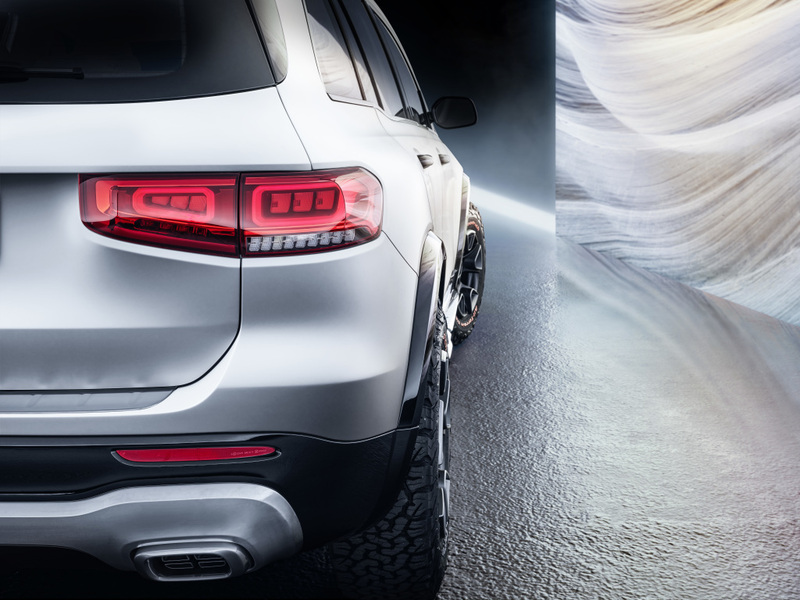 In regular driving operation, the drive programme “Eco/Comfort” is based on an 80:20 distribution (front axle:rear axle), while in “Sport” it is 70:30. 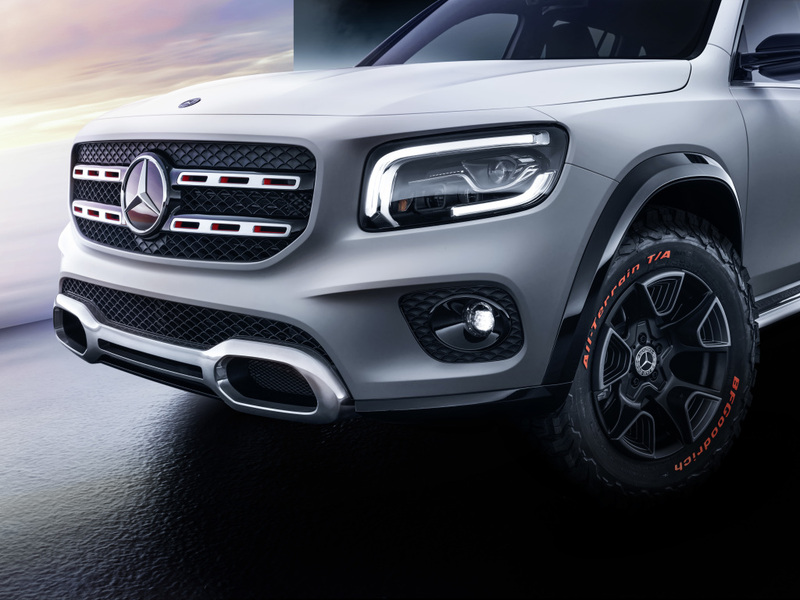 In off-road mode the all-wheel drive clutch acts as an inter-axle differential lock, with the basic distribution a balanced 50:50.